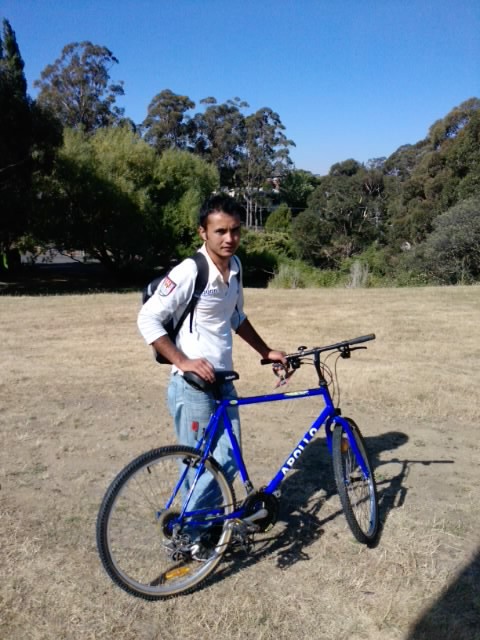 Hobart Bike Kitchen was very happy to be able to help provide a bike for Hussein. He is in Hobart and because of Dept. of Immigration restrictions and confidentiality reasons; I can’t give you much information about him other than he is from Afghanistan and is very thankful for the gift of the bike. It means that he can access the city a lot easier and that will help him greatly with his efforts to get employment.His current work means starting before public transport can get him there and he was walking an hour and a half to get there. We hope it’s a small gesture to making Hussein and others feel welcome in Hobart, and that he enjoys a bit more sleep in the mornings.